Will the Toronto Maple Leafs trade Jake Gardiner and Kasperi Kapanen? What moves will the Montreal Canadiens make at the NHL trade deadline? Bergevin still wants to focus on rebuilding his team. The Canadiens have had success this year and are fighting for a playoff spot. What Bergevin refuses to do is give up top prospects for a player on an expiring contract. i.e. Wayne Simmonds of the Philadelphia Flyers. 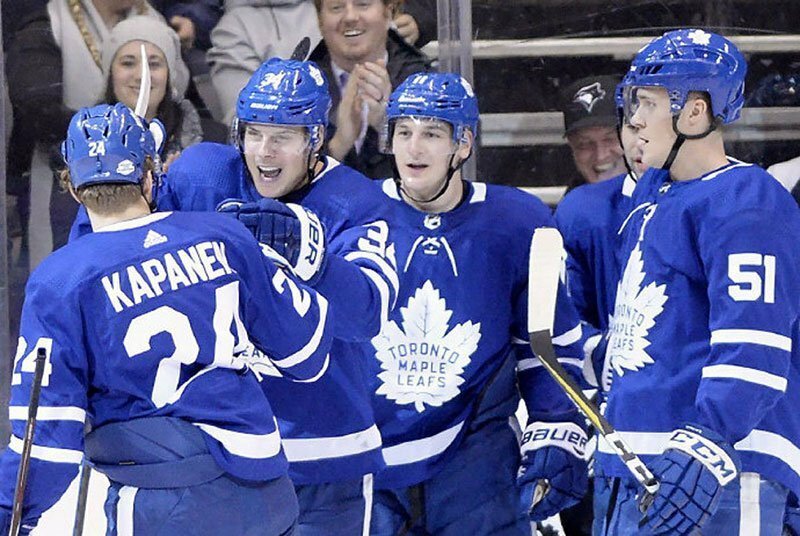 The Toronto Star: Kevin McGran reports with the Toronto Maple Leafs facing salary cap hell next year, maybe it is time to trade Jake Gardiner and Kasperi Kapanen for some assets now. Gardiner will be an unrestricted free agent July 1, able to command a salary in the $6-million to $7-million range, a price tag that would appear too high for the Leafs. Now is the time to move Gardiner instead of keeping him as an ‘own-rental’ for the playoffs. The Leafs are likely to face Boston in the 1st round and if they make it through, their likely next opponent is the Tampa Bay Lightning. Chances are low for the team to make it to the conference final, though anything can happen. McGran also suggests the team could trade Kasperi Kapanen to get the right shot defenceman they need. The Carolina Hurricanes could be a potential trade partner, as they boast a slew of right-handed defencemen. Brett Pesce’s name keeps coming up in rumors. Could Kapanen for Edmonton Oilers Adam Larsson ($4.167 million until 2021) be a potential deal? Kapanen would look great on Connor McDavid’s wing. This year’s 2019 NHL trade deadline should be interesting to watch as some big deals have the potential to happen.